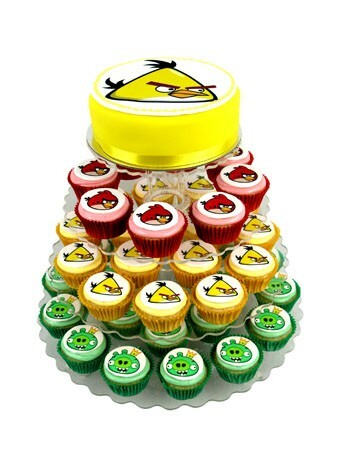 A Yellow Bird chocolate mud cake with 40 Yellow Bird vanilla cupcakes. This scrumptious 6 inch mudcake is fully iced in yellow and surrounded with a yellow satin ribbon. 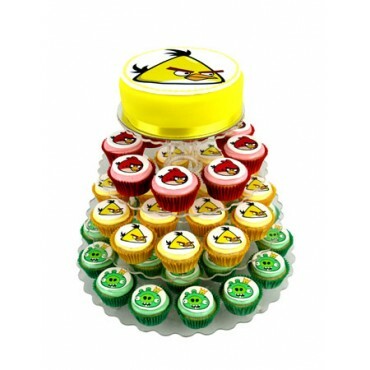 Yellow Bird sits on top of this impressive cake and includes 40 delicious cupcakes mixed with King Pig, Red Bird and Yellow Bird images.